A smart Craftsman-style addition gives this house more curb appeal, more space, and a more coherent identity. 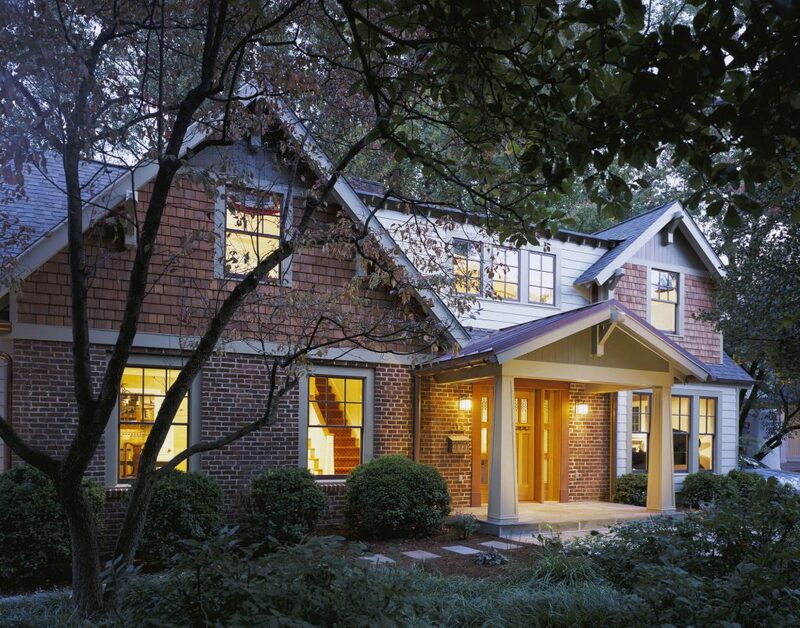 A copper-roofed portico, cedar-shake siding, and a mahogany front door make for a welcoming façade. 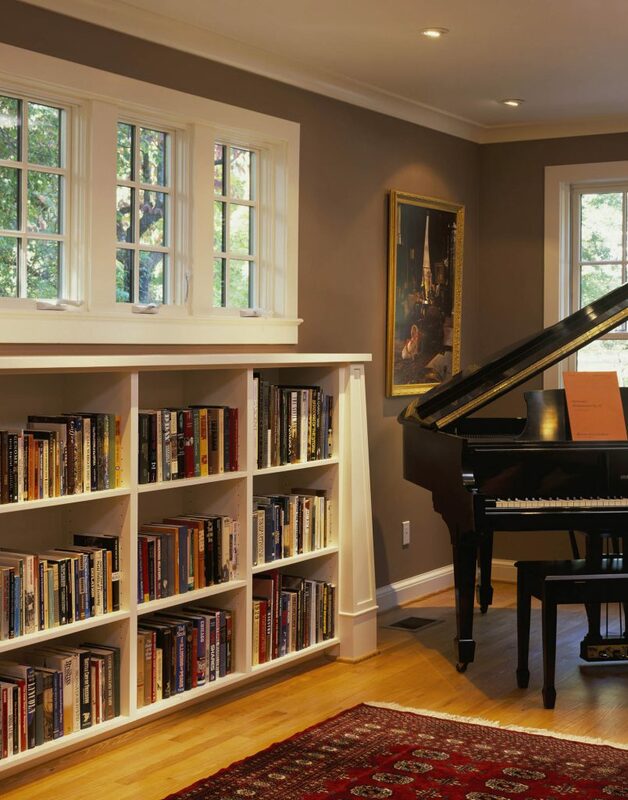 Custom columns sound the grace note. Open foyer, open stairwell, and open communication between the living and dining rooms—all it took was moving the front door. Two new bedrooms and a new bath upstairs make room for the growing family. 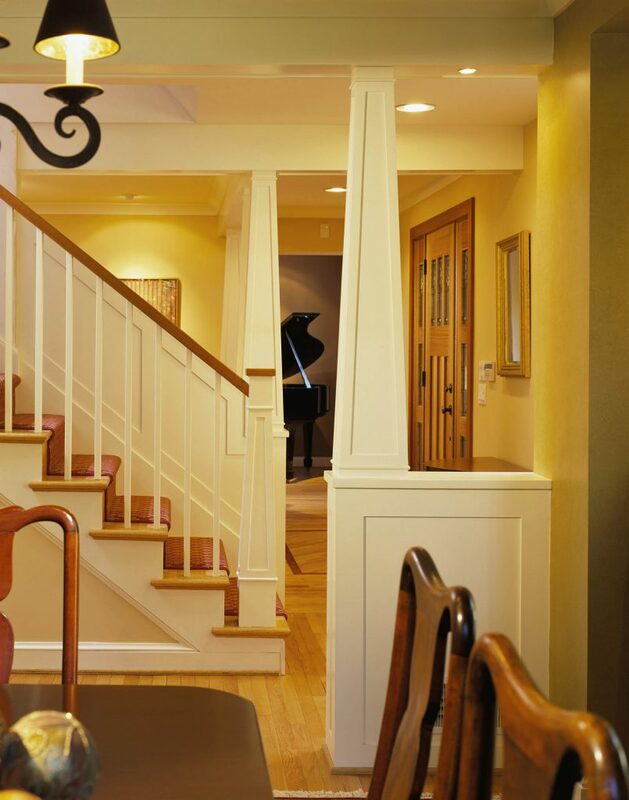 Throughout the home, period lighting pays homage to the arts-and-crafts movement. 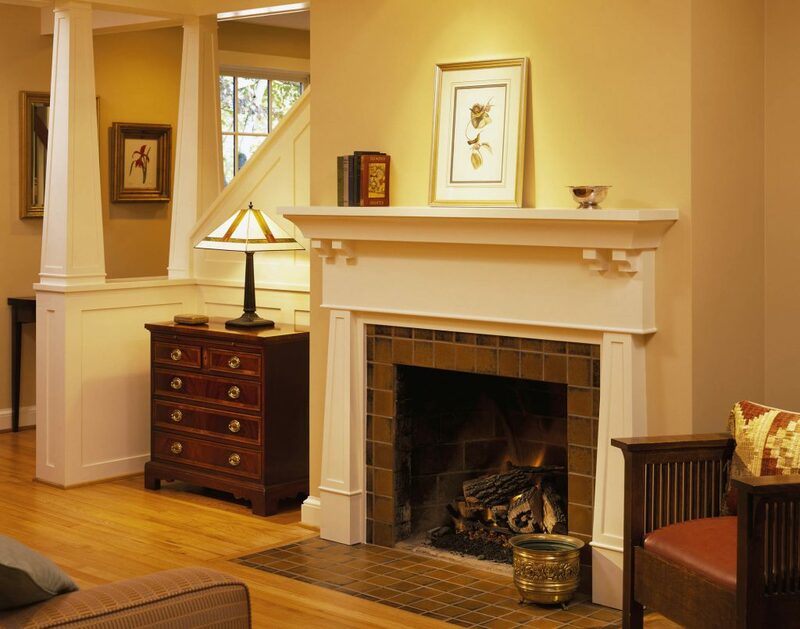 Custom built-ins and millwork throughout stay true to the Craftsman style.